Elsander. . Wallpaper and background images in the ディズニープリンセス club tagged: photo. This ディズニープリンセス fan art might contain 肖像画, ヘッドショット, クローズアップ, ポートレート, ヘッド ショット, and クローズ アップ. I remember there being another male version of Elsa on here and they had a name for him but I forgot what it was. I found it! They called him Elsander, though I'm not sure if I like that name. 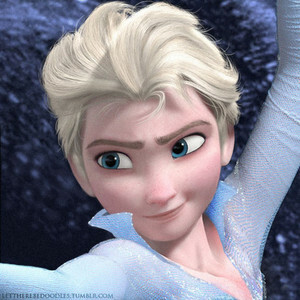 Still, never as attractive as(get ready for my fan girl side) HANS. LIKE WOAH IM IN LOVE, HE IS SOOOO DREAMY, UGH HIS EYES HIS HAIR.